The cricket pavilion, erected in 1958 to mark the 350th anniversary of the School ’s charter, has suffered seriously from vandalism in recent years and has lost its scorebox completely (pictures right). 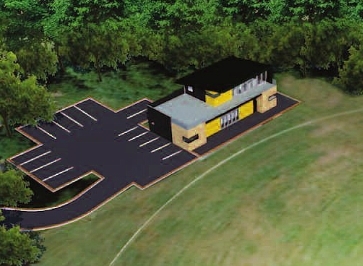 Planning permission has now been obtained to build replacement pavilion. If you would like to help with this project in any way, or would like further details, please contact us below.